Mosaic glass and stainless steel mixing in copper tones with flashes of glitter. Add a modern touch to your home with the stylish Cassiopeia mosaic tile. 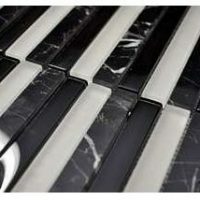 This striking and very attractive tile is made from a mix of stainless steel and glass mosaics. It is available in a glossy finish in varying shades of copper with splashes of glitter. The glossy copper finish complements a range of neutral colours perfectly. The Cassiopeia mosaic tile is available in a standard size of 30x30cm and is sold per piece. 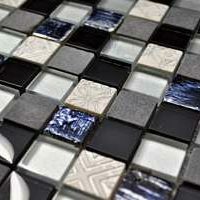 This mosaic tile will do very well to complement modern home décor and furnishings. Its grand looks will add a fresh touch to any space it is used in. However, it is best suited for use as a wall tile in indoor spaces including bathrooms, wet rooms and kitchen splashbacks. The Cassiopeia mosaic tile may be affordably priced, but it exhibits all the qualities of a superior grade product. Moreover, it is incredibly durable and it is built to withstand the test of time. 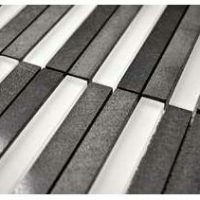 And, thanks to special manufacturing, it can be installed very easily with minimum grouting. For a modern looking mosaic tile in Perth, consider the Cassiopeia mosaic tile. 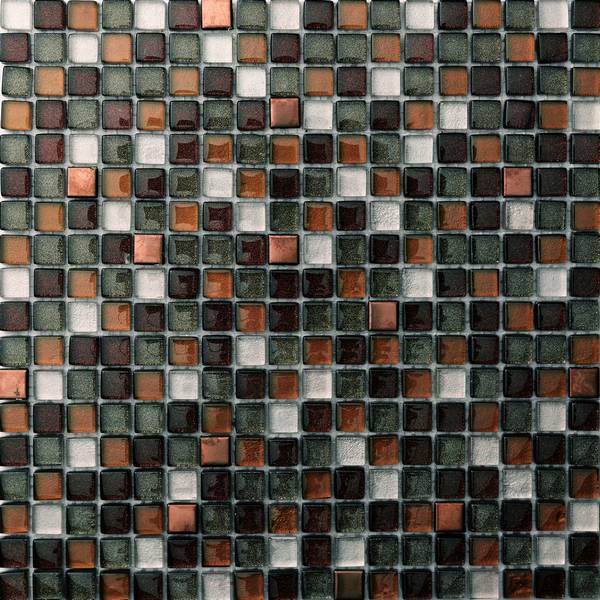 Buy this attractive mosaic tile at the lowest price from our online store today!